Wednesday’s Special – !!! !Turkey Club Crossiant w/Guacamole!!!! 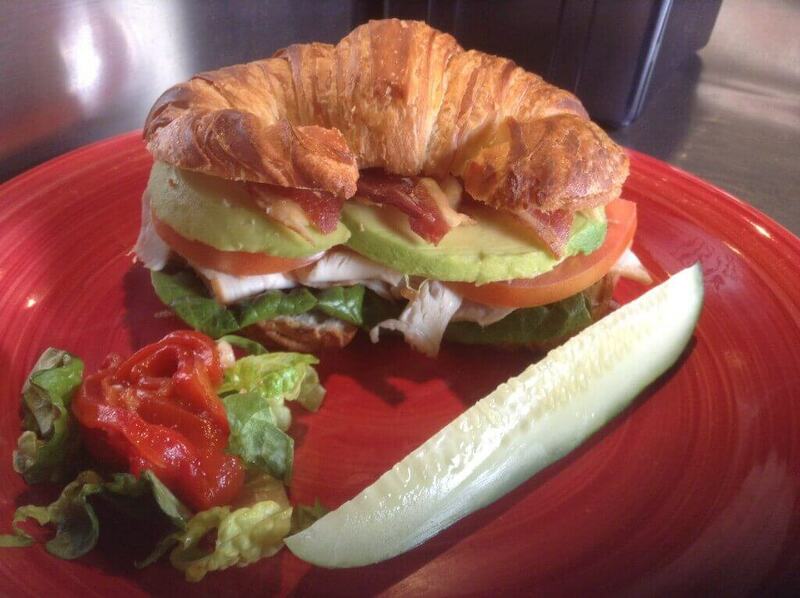 Oven roasted turkey breast, smoked bacon, guacamole, lettuce, tomato, and mayo, on a buttery croissant! Special of the Day !!! !Shrimp Po Boy Wrap!!!! Wednesday’s Special – !!! !California Turkey Wrap!!! !